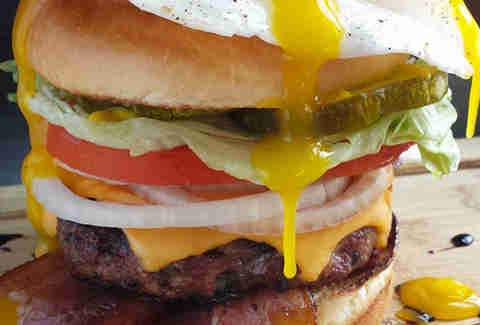 Which came first: the burger, or the egg-topped burger? 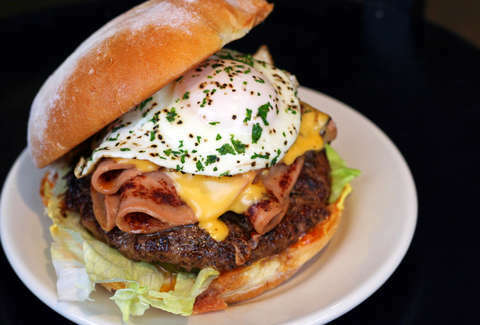 And does anyone honestly care if that question just results in us rounding up the nine best egg-topped burgers in all of Chicago? Yeah, didn't think so. 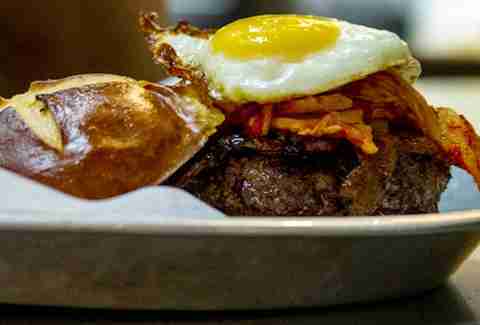 On top of the infinitely customizable options at this butcher-fresh burger shop -- five buns, eight patties, nine spices -- you'll also have the choice of dropping a fried chicken egg on top or upgrading to an Amish duck egg. Rumspringa for all! 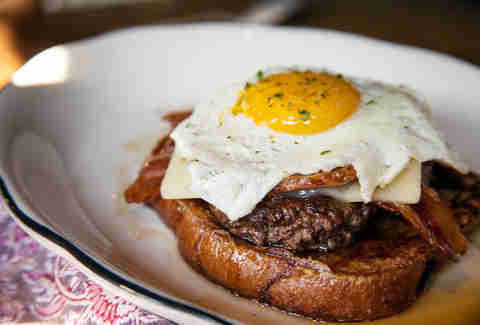 Grange Hall has your egg burger pangs covered morning, noon, and night between its open-faced breakfast burger on cinnamon-raisin French toast or the dinner menu's option to add a Michigan farm egg to any item (including, uh, the burger). 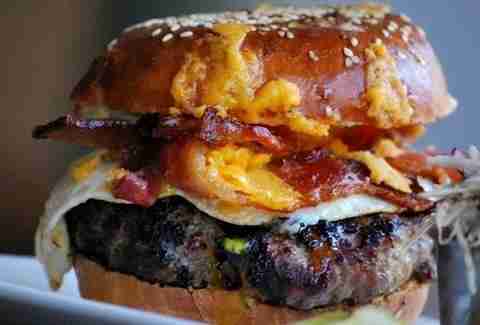 You've likely heard tales of Kuma's meaty conquests by now (see: the eponymous burger topped with bacon, cheddar, and a sunny side-up egg on a pretzel bun). But they've got a new eggy special this month, too: the Windhand, a burg topped with fried prosciutto, cheesy grits, bacon fat red-eye gravy, and chives with a toppings-crowning fried egg. Standing out among Mindy Segal’s dynamite spread of cookies, pastries, and hot cocoa: this combination of Slagel Family Farms beef, bacon, house pickles, and a garlic-toasted sesame bun coated in cheddar. 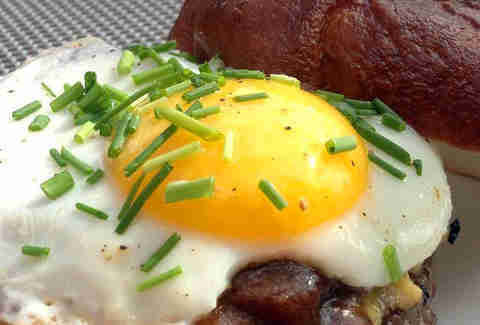 (Not actually) optional: adding a sunny side-up egg. 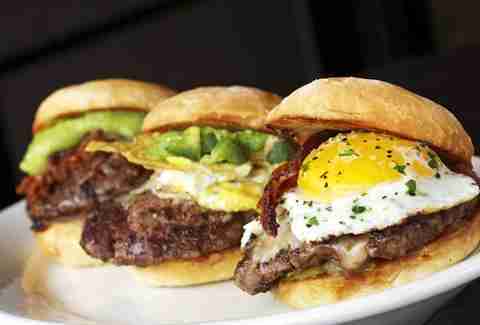 Double, single, bacon, egg -- nearly any way you order it, Au Cheval's burger can do no wrong. 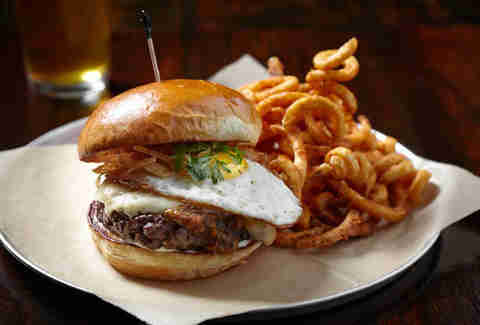 The staple #4 on DMK's burger menu brings a fried egg, jack cheese, and smoked bacon, but the key ingredient is the roasted Hatch green chile, the second best thing to ever come out of Albuquerque (behind this, obviously). Rockit's take on huevos rancheros is the only take on huevos rancheros that should ever be allowed to be taken: it's a Black Angus beef burger topped with a fried egg, Chihuahua cheese, corn tortilla strips, roasted salsa roja, and jalapeño aioli accompanied by a side of curly fries. 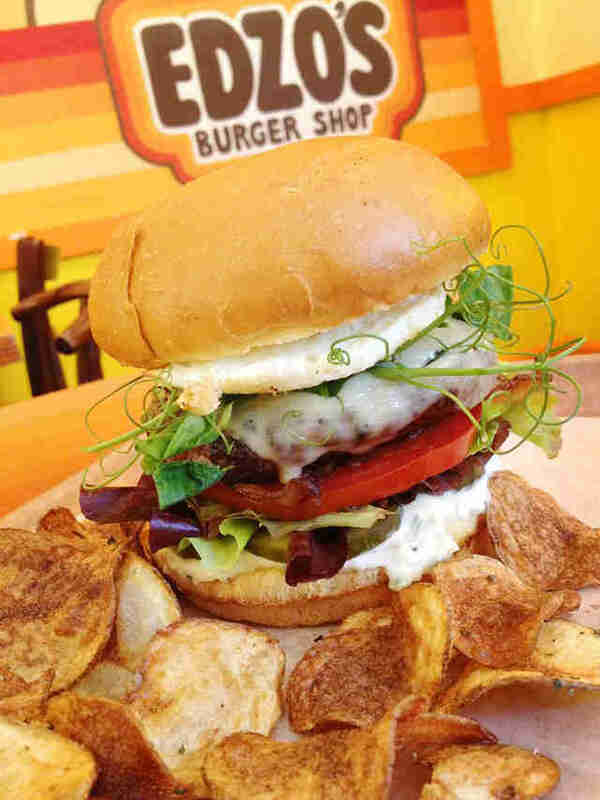 The burger lab at Eddie Lakin's '70s-style greasy spoon is always in full swing, so you may catch a special egg-topped farm burger around Market Days, or you can build up a standard burger on your own, adding bacon, sautéed mushrooms, and an over-easy egg. The metal bar features a pair of egg-centric burgers in The Bootleg (bacon, kimchi, fried egg) and the (how-is-this-)brunch-only The Colonel (buttermilk fried chicken, bacon, mozzarella, cinnamon sugar crepe, fried egg, and maple syrup). 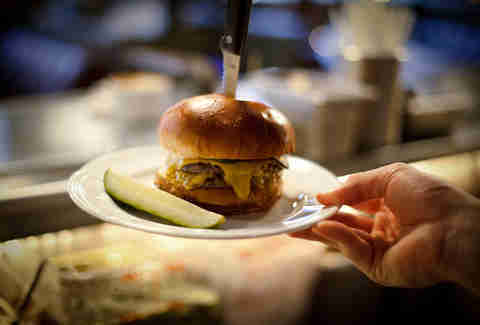 Sean Cooley is Thrillist's Chicago Editor and he knows how to properly ration his pepper while playing BurgerTime. Follow him @SeanCooley.